The homeless enrollment in Indiana public schools has increased by 34.2% since the 2010-11 school year. Who Is Considered Homeless? Under the McKinney-Vento Act, schools are required to keep track of the number of children whom they know lack a fixed, regular, adequate nighttime residence. Students experiencing housing instability may be living in motels, trailer parks, campgrounds, transitional shelters, or sharing housing with others because of economic hardship. The scene from Marjory Stoneman Douglas High School in Parkland, Florida is one we have seen far too often: terrified students fleeing a school, parents frantically searching for their children, law enforcement swarming a campus. While our immediate concern is for those directly involved in these tragedies, instinctively we also wonder if our own children are safe. Safety is the top school-related concern of parents, above academic performance, student services, facilities or educator quality. Parents must have an accurate understanding of the safety plans in place in our schools. We also must work to ensure that students, and their families, feel that their schools are safe. School administrators are keenly aware of the need to protect students, with the range of threats including not only active shooters but also weather and natural disasters, noncustodial parent abductions, and everyday issues like bullying and fighting. Although mass school shootings understandably garner intense media coverage, all threats to school safety are cause for concern. Research shows that any instance of crime or violence at school not only affects the students directly involved but can also negatively impact bystanders, the larger school environment and the community. The good news is that Indiana is leading the nation in school security and safety planning. Indiana is one of only two states with a school safety specialist law, and is the only state in which the program is fully implemented. Every public school corporation in Indiana is required to have a certified school safety specialist, and 88% of districts have two or more specialists. Although our state is proactive in addressing the safety needs of schools, challenges remain. Fear at school can contribute to an unhealthy school climate and lead to negative student behavior. Students who feel unsafe at school are more likely to miss days of class, and students who witness school violence are more likely to experience health problems, social and emotional difficulties, and poor academic performance. According to the National Survey of Children’s Health, 78.1 percent of Indiana parents say they “definitely agree” that their child is safe at school. This is compared to the Healthy People 2020 initiative’s goal that 95 percent of parents will consider their children to be safe at school. We all have a role to play in creating and sustaining a climate of safety through our schools. At the leadership and policy level, more can be done to increase both the actual and perceived levels of safety. In late February, State Superintendent of Public Instruction Dr. Jennifer McCormick called on the General Assembly and our Congressional Delegation to pass additional school safety policies. Her two main requests were increased resources for mental and behavioral wellbeing, and ensuring that our private and charter schools all have the same requirements to keep our schools and students safe. Late in the legislative session, Governor Holcomb requested a $5 million increase in the state’s school safety grant fund, but the bill died in the final minutes of this year’s session. The May special session will be a time to finalize additional school safety actions and funding. At the community level, effective communication is critical. Although schools understandably cannot publish their specific safety plans, they can and should talk with parents and community members about the steps they are taking to ensure students are safe. Experts suggest directly calling your school principal with safety concerns, noting that many people erroneously first call local law enforcement. Student voice is also important in shaping and maintaining a safe school environment. Ask your school how they are supporting student engagement in their safety planning. Finally, do not underestimate the impact these national traumas have on our students’ sense of safety. The horrific mass shooting in Florida has once again heightened our concerns for school safety. Indiana has proactively taken steps to ensure our schools have updated safety plans in place and yet even the best plans are not guarantees. All Hoosier parents and families should have a clear understanding of what is going on at the state and local levels, especially inside their individual schools. Students are understandably and admirably stepping up to not only regain their sense of safety but also to call for increased action. But as community leaders, parents and citizens, it is our shared responsibility to provide safe learning environments for all of our educators, administrators and, most importantly, our students. What are your goals for 2018? For adults, the most popular resolutions include exercise more, quit smoking, learn a new skill, and manage money better. What about for kids? Should they also be making New Year’s resolutions? Studies show child goal setting can build their resilience, confidence and motivation. Yet it is important that we understand how goal setting is different for children. With the right approach and tools, building our children’s ability to set appropriate goals can put them on a path to long-term success. As caring adults, we can set the conditions for our children to learn the benefits of goal setting. 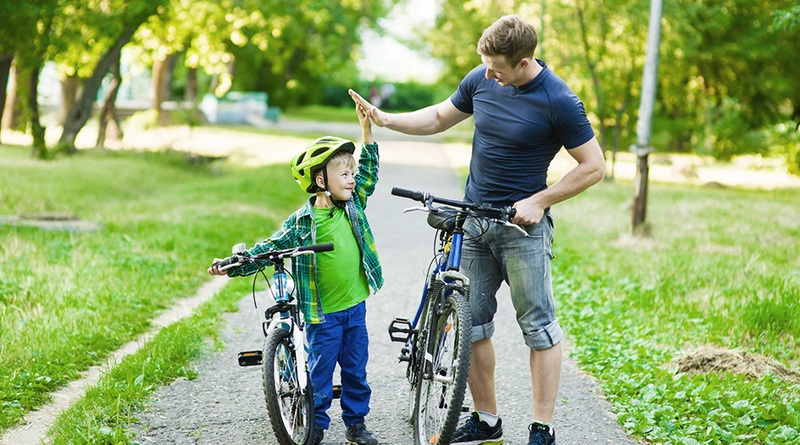 In fact, experts agree that most children learn how to set goals by continually watching their parents and mentors. Teaching children how to set and achieve goals helps them learn the values of reflection and self-improvement. And reflective self-improvement, also called a growth mindset, has been found to be a better predictor of future success than IQ. To be effective, children must drive the goal-setting process. To ensure that the goals are truly those of the child and not a reflection of adult overreach, caring adults must play a supporting role, allowing the child to identify their unique goals. One approach, the ABCs of Goal Setting, from Psychology Today, highlights that goals should be achievable and believable, while involving personal commitment. EdWeek proposes a simple “noun plus verb” structure, such as “read every night” or “attend homework groups.” With any approach, it’s important to review plans regularly and to anticipate that setbacks may occur and adjustments will be needed. While goal setting can be started with children as young as 3 or 4, it is important to adjust the approach based on the child’s age. At any age, start the conversation by simply asking children what they would like to do this year. Michelle Borba, parenting expert and author of the recent book “UnSelfie,” suggests then using this formula: “I will” plus “what,” “when” and “how.” For younger kids, the formula simplifies to “I will” plus “what.” Goals such as learning to tie shoes or memorize simple addition facts are realistic for little ones and can later grow to be more complex. Psychology Today says a key in goal setting is to listen to the child and focus on the process of improvement rather than the product. We also can help by ensuring that our kids don’t set too many goals or select goals that are too complex or too simplistic. Many experts suggest that by selecting goals that are just out of reach we can teach children to try new things. At the same time, kids need to see and understand that self-improvement takes time and that setbacks are normal. Show them the struggles you’ve encountered to reach your own goals. There are many great biographies, such as those of Benjamin Franklin, Thomas Edison and many Olympic athletes, that highlight the essential connection between goals, failure and success. Goal setting holds the promise of helping kids in many parts of their lives, and experts recommend looking beyond academics. When youth are overscheduled and stressed, they may need to identify goals and action steps that foster relaxation and fun as part of their lives. Borba recommends we promote this balance by helping children set and achieve character goals. Character goals aim at cultivating “we-thinkers” instead of “me-thinkers,” helping kids become better individuals and community members through building traits such as caring, courtesy, respect, patience, generosity and truthfulness. Another way to reinforce the importance of these character goals is for the entire family to identify and work towards a shared goal, such as listening more or reaching out to elderly relatives. In 2018, instead of just telling your child they are smart, you can teach them that they are capable of taking on challenges that can result in growth. Listen to their goals, help them define the larger strategy and necessary daily actions, then provide lots of cheering, encouragement in the face of setbacks, and unconditional support. As we aim to grow and nurture our future leaders, goal setting may be the key to building motivated, resilient and hopeful kids. And it’s a goal we can all share. Youth are the hidden victims of the opioid epidemic. Nationally, the issue has grown so severe that in 2017, the Commission on Combatting Drug Abuse and the Opioid Crisis submitted a letter to the president requesting that the opioid crisis be declared a national emergency. In Indiana, there were 1,271 deaths from drug overdoses in 2016, a 33% increase from 2011. Drug overdoses have risen so sharply in Indiana that they now kill more Hoosiers than car crashes and gun homicides combined. Sign up to receive the latest updates on youth issues in Indiana.